Welcome to my new ADDRESS! 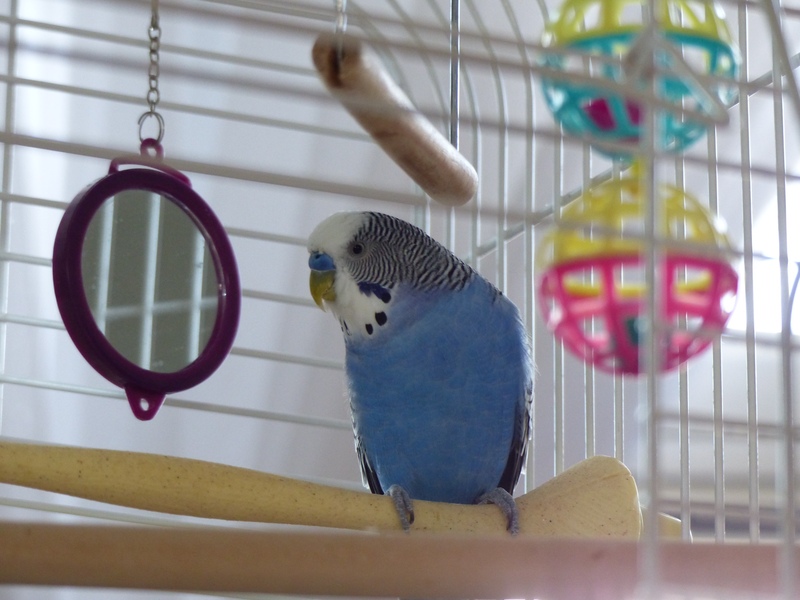 This is Buddy, the younger of our two budgies. He’s sitting in his open doorway looking out, and that’s how I feel today. I’m in the doorway of a new adventure! My website address is now flutesandflyingsquirrel.com. They say a blog/website should tell or have a key word that tells about you and what you do. You couldn’t get more about me than FLUTES! My love affair with the flute began at age 13 when I was in a music class in Grade 9 at High School. It is still as much a part of my life as I can make it, being a member of a community band, and playing duets whenever I can. Some pleasures just never fade; even after a lifetime of symphonic, chamber and solo performing, it’s still a JOY to be part of LIVE music-making. Flying squirrels are just such amazing and wonderful creatures. It’s pure serendipity that Shelby entered my life and that he is a flying squirrel. Can’t explain why, it just happened that way! The first story was written in 2010, so Shelby has established himself well into our existence. And his adventures are becoming known to more people every day. It was just a normal day at school, and there we were in music class. The teacher said, I know it’s cruel, but your string playing just won’t pass. Here, you take this, he said to me, why don’t you just give that a toot? I sat the small case on my knee, inside it gleamed a silver flute! There we sat all in a row, and with each head joint we got busy. We were told to simply blow, but soon the lot of us was dizzy! No, no, you have to blow across! Don’t blow down into the hole! Of course, we knew he was the boss, but we just laughed; out of control! the tubas all went oom pah oom, and clarinets all squeaked and groaned. The teacher yelled, give it a rest! Or you’ll go back to playing strings! Previous SHELBY F. SQUIRREL IS CLOSER TO KINDLE!! Next Shelby F. Squirrel e-Books now AVAILABLE!! Love the new Page!! Good Luck! Eleanor! !